Check out this cute video of Kevin Bacon and his dog, Lilly, getting into the Olympic spirit. Aaaaand, thanks to YouTube, here’s another funny video of Kevin Bacon and Lilly. 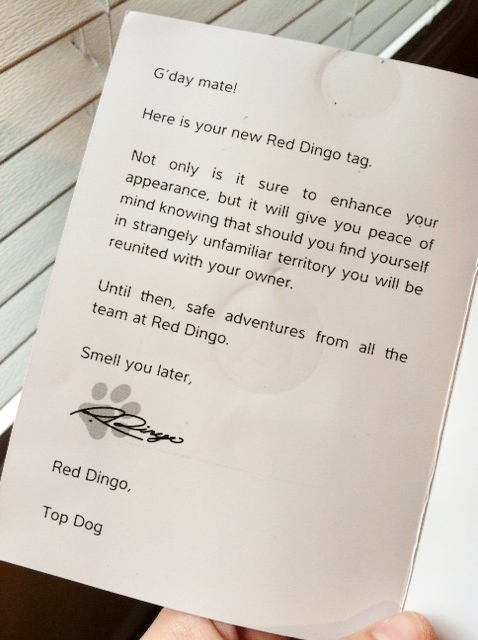 In other news almost as important as that of Kevin and Lilly, we finally got a new Red Dingo tag for Teton. 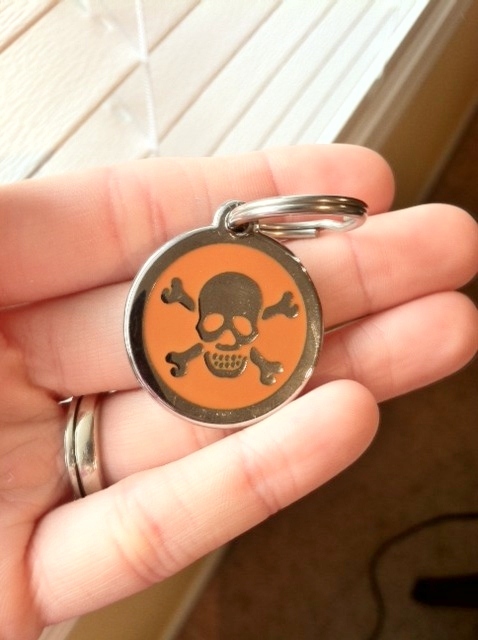 It was a tough decision, but we decided to go with the very intimidating skull design on an orange background. The tag, which I ordered through our local Mud Bay, came with this cute card. It’s those little extra touches that make for an awesome pet company. I’m off to feed the little scamp and grab some dinner myself before watching the opening ceremony! Posted on July 27, 2012 by Shannon	This entry was posted in Closet, Web. Bookmark the permalink.